Just enter the site, and instantly, without ever typing anything, you’ll see tons of useful info about your own Internet connection. Here are your IP address, DNS, country, city, Internet service provider (ISP), operating system, browser version, language info, browser headings, plugin versions, display resolutions, anonymizing methods, and many, many more (especially in the extended version). You’ll be very surprised to know how much information you reveal about yourself to the Internet. This is also a handy way to know how Web sites “see” you and which information about you they can use in their advertising and tracking purposes. You will also be able to monitor your anonymization methods that you use and determine their effectiveness with the help of our proprietary ranking system. Not only this system assesses your level of privacy giving you a percentage rank, but it will also recommend how to increase it. Furthermore, you will get to know whether your IP address is listed on the Internet block lists which may seriously affect all your Internet experience. If it is not, congratulations, but if it is, you’ll instantly find a link to get rid of this problem. There are a lot of such tools on the Internet, why another one? Alas, the majority of such services are just a name. They may take your money (and often big money) only to crash constantly, bottleneck your traffic, lack many important privacy-saving functions etc., and on top of that, they may send your personal data to various authorities. They may have inconvenient payment methods, hardly-working websites, crappy technical support, and many other problems. The Whoer VPN service is void of all of this. Its team consists of professionals that know exactly how such a service should work, how it should look like, which experience and features it should offer, and how to bring it all to users at optimal prices. 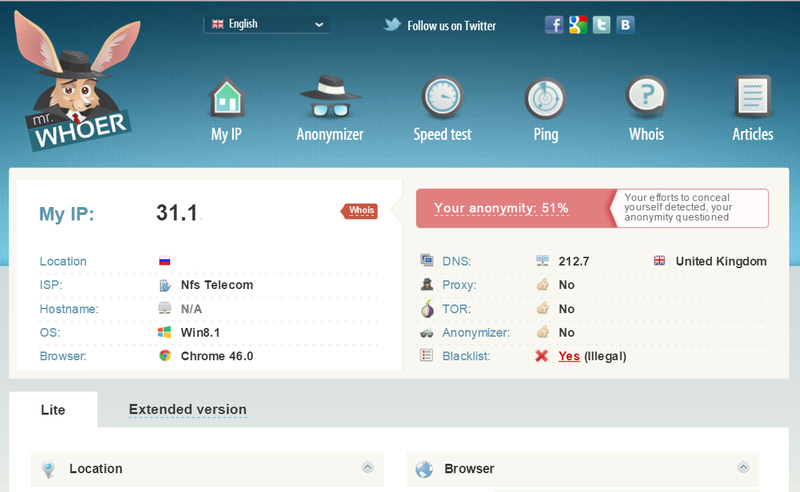 Some users need just an anonymizer, while others need a VPN. In both cases, you are at the right place – whoer.net offers both of them. Its easy and free anonymizer can be a good entry level solution allowing you to unblock sites and conceal your identity. There are three servers for you to choose from: in the US, Netherlands, and Russia. However, for those who need something more robust, we offer a VPN service with advanced features like WebRTC leaks protection which the competition rarely has. VPN gives a real rather than imaginary privacy and security while giving you a stable and fast connection. Your ISP claims that you have a 100 Mbit/s connection – and charges a hefty sum for it? Now, check if it is true. 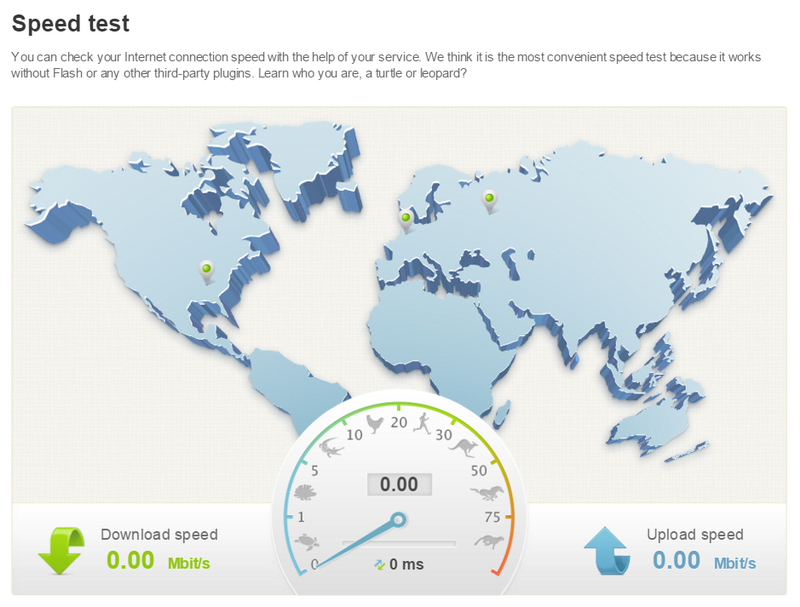 Just pick a test server on the map, and the system will show your real download and upload speed. Now you can know for sure how your ISP claims are true to life and what you pay for. Unfortunately, the real connection speed can be significantly less than what the ISP claims. Ping your server, site, or IP address from different countries to check the uptime and connection speed. There are eight countries in Europe and North America. Our service shows both the site availability as well as its maximum access speed across all the listed countries. Now you well know what you need to optimize on your site to achieve maximum results. This is a traditional service to show all publicly accessible information about any IP address, be it a user or a website. Just type an IP address or a domain name, and the service will instantly show everything that’s possible to know.